Maui Ziplines Are the Best! 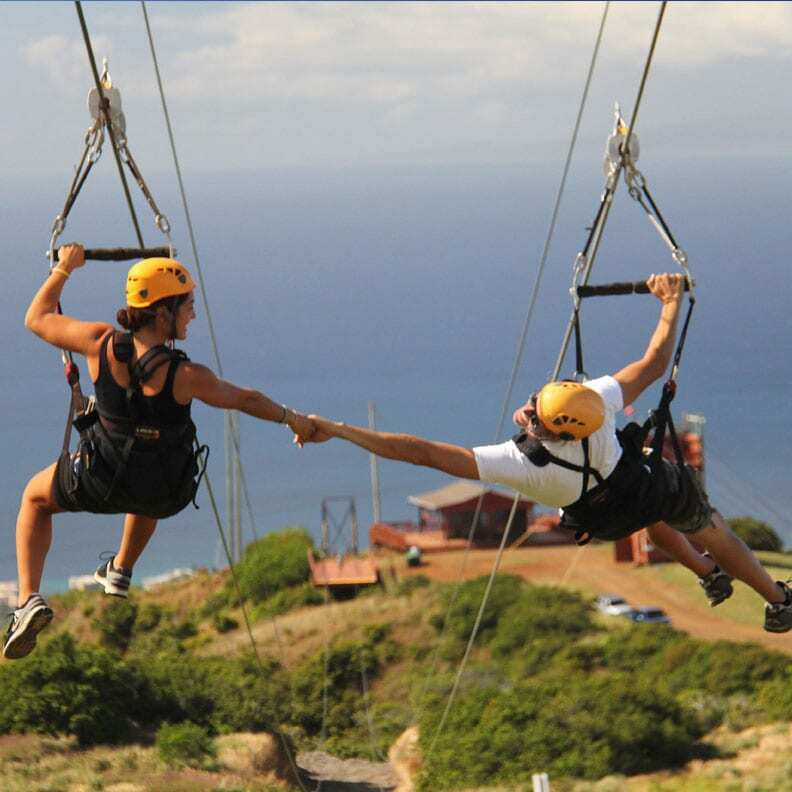 Maui is home to a large collection of zip lines spread evenly throughout most of the island. 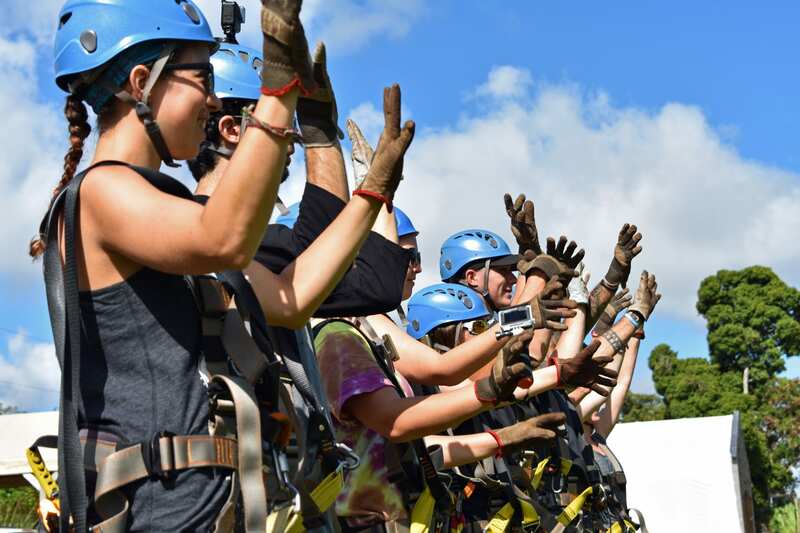 On the West Side of Maui, one of the biggest and best Maui zipline courses is at Kapalua Ziplines. 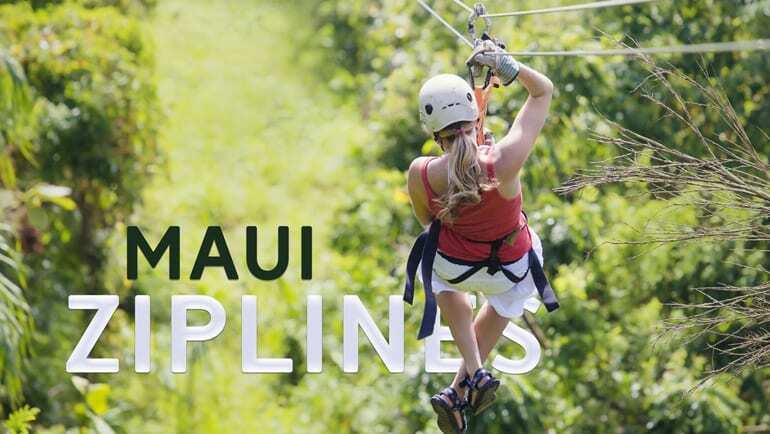 Kapalua Ziplines is known for sweeping ocean views from its position on the Kapalua hillside as well as extremely long smooth lines over 2,000 feet in length. 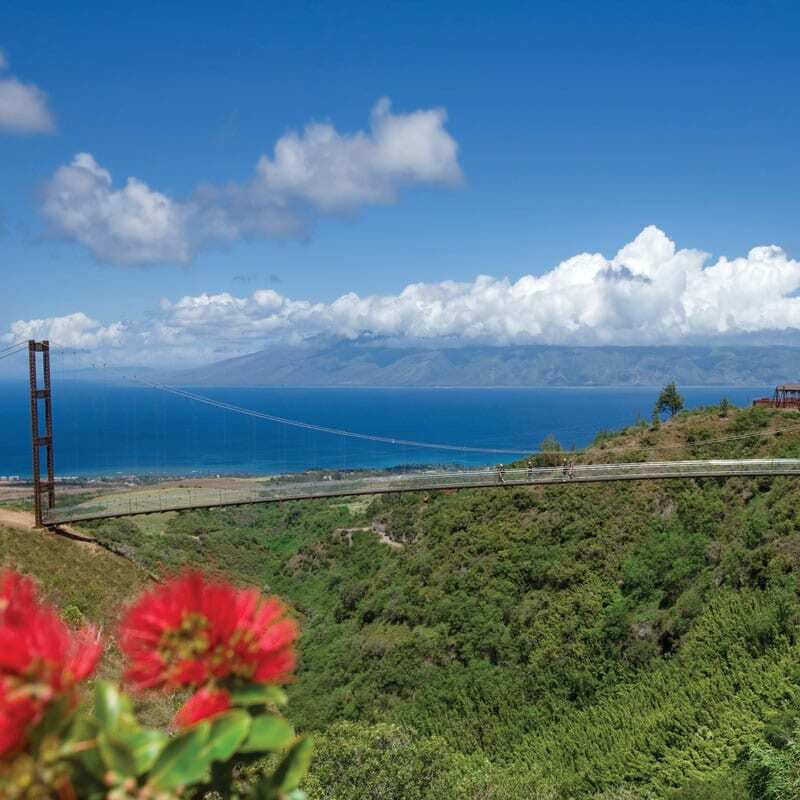 Upcountry Maui is home to Piiholo Ranch Ziplines. 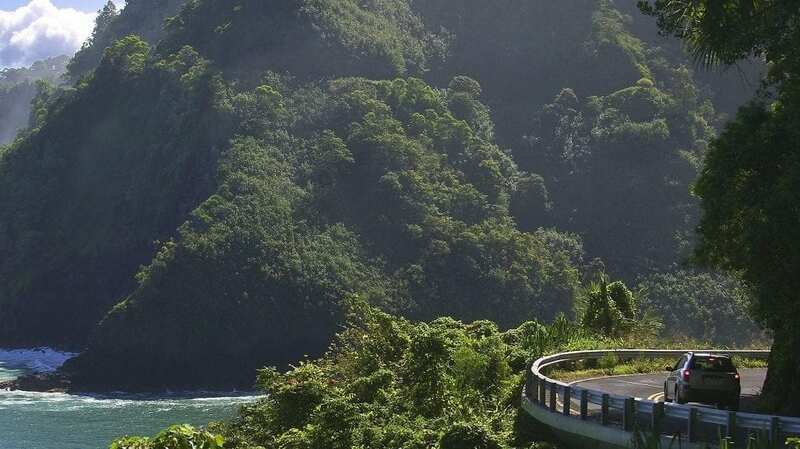 Piiholo Ranch Ziplines is certainly a favorite Maui zipline of everyone who’s ever made the journey to do it, with very long smooth lines, ultra-comfortable harnesses, and a breathtaking location, you’ll see why this is one of the very best. 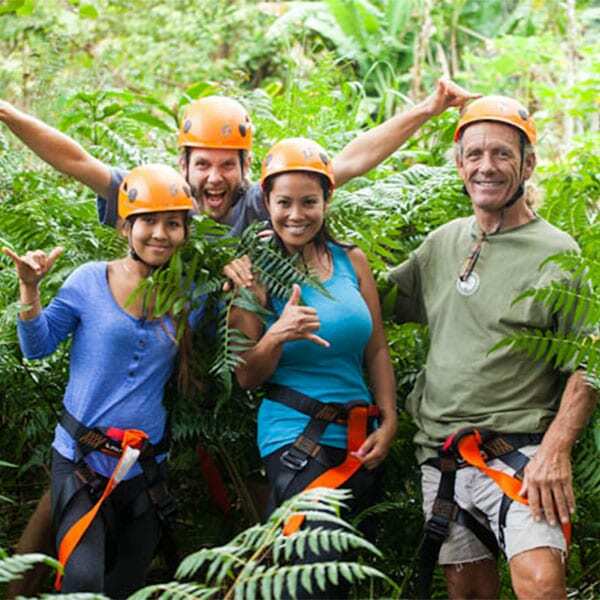 For those seeking a jungle experience, the Northshore of Maui has two great jungle canopy tours, Jungle Zipline and Northshore Zipline. 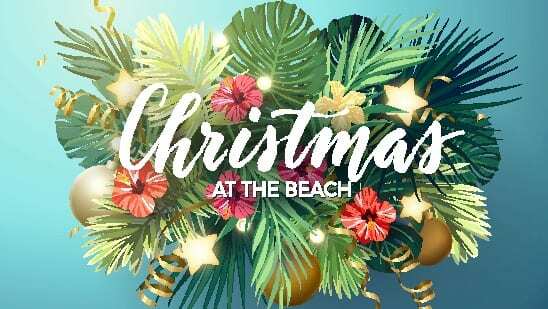 Northshore Zipline is a 7 line canopy tour through a beautiful rainforest with an ocean view backdrop. Simply put, all of these ziplines are fun, choosing the right one for you, well that’s a personal matter! 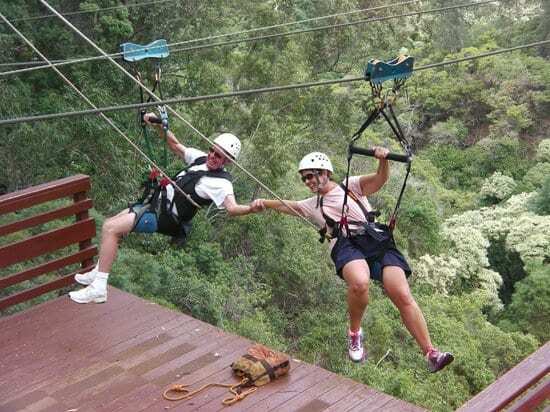 We recommend Kapalua Ziplines for a West Maui Zipline, Northshore Zipline for a Northshore located zipline, and Piiholo Ranch Zipline for some fun upcountry. 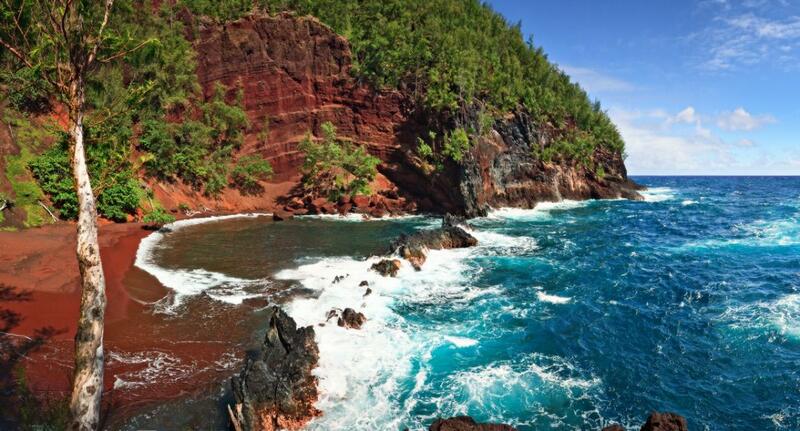 Is a Maui Zipline the Right Adventure for You? Most humans share a certain baseline level of fear for heights, some more so than others of course. Getting over this basic instinct to fear heights can be a fun and exhilarating experience. Certain activities like sky-diving, bungee-jumping, and zip lining give us an opportunity to overcome these fears in a controlled environment. 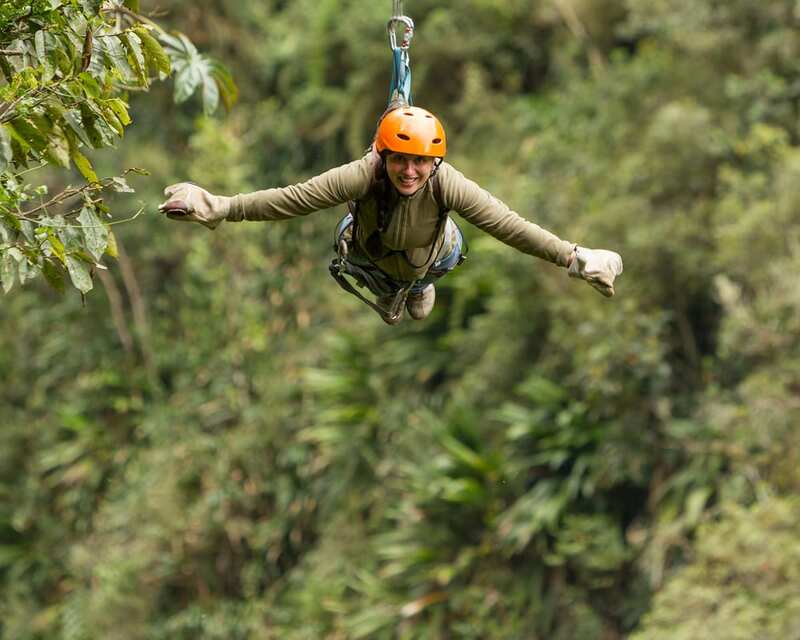 Taking a Maui zipline gives you a chance to overcome this fear, or to further overcome it, in a beautiful environment making the experience even more memorable. 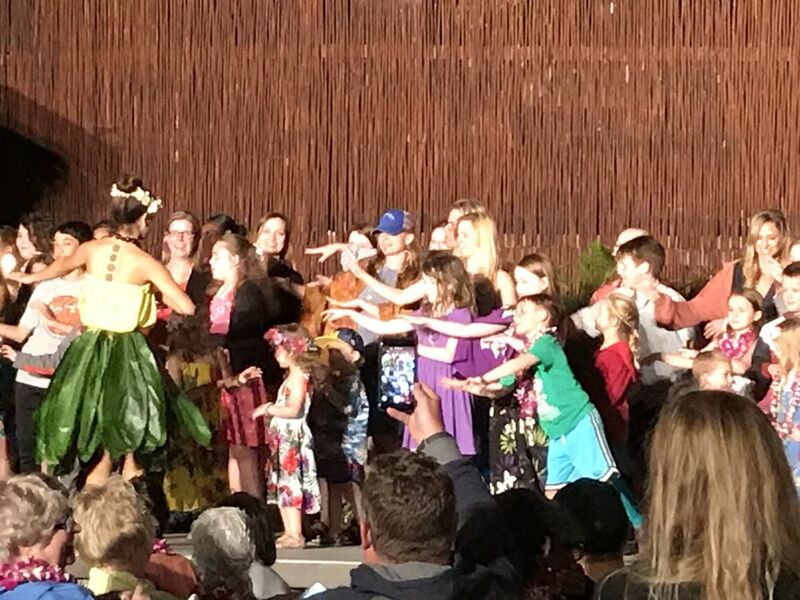 These tours are for everyone, certain companies take children as young as 5 years old on their tours. All of our companies boast excellent safety records and continue to make that the ultimate priority.